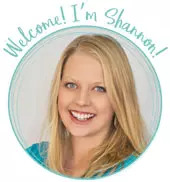 by Shannon Clark in Giving Birth Naturally | 31 comments | Contains affiliate links. In the ideal world, we would be able to get all of our essential vitamins and nutrients from simply eating healthy foods. Unfortunately that hasn’t been true for me. Despite eating a healthy whole foods diet, I’ve struggled with several deficiencies in important vitamins both before and during this pregnancy. Thus, taking supplements has become a necessary part of life for me. A supplement formulated from whole foods seems like the best of both worlds. 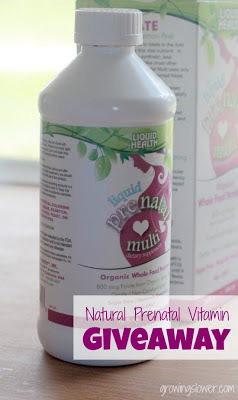 I was thrilled when Liquid Health sent me their new Liquid Prenatal Multi to try out. I’ve been taking the Liquid Prenatal Multi for about three weeks now. It is recommended to take it in juice for best taste, but as I’m not able to drink fruit juice with my blood sugar concerns, I’ve just been taking it straight from a spoon. I really don’t find the taste bad at all, especially not compared to my fermented cod liver oil! Lucky for me, it is sweetened with Stevia and does not contain any sugar. Taking vitamins in a liquid form is also supposed to help maximize absorption. I think it would also be great if you have a hard time taking pills, especially during first trimester morning sickness. It is also recommended to take the prenatal a half hour before eating for optimal absorption, but even now in my third trimester, I just can’t take it on an empty stomach. The vitamin seems to have a good balance of all the essential vitamins a pregnant woman needs. I was especially interested to note that they included enough Vitamin B12 to cover more than 3300 percent of your daily value. B12 along with B-Complex are the vitamins I believe really helped improve my morning sickness this pregnancy, and my midwife has also recommended B12 to help improve my energy level. Thank you kindly for offering this! Thank you for the offer! I have been taking the jamieson brand and have been looking for other natural alternatives however most of them only deliver 500mcg or less of folic acid. I just just looked up Liquid Health Prenatals and am happy to learn it contains 800mcg of folic. Would love to try! Thank you for your offer! I have been using the jamieson brand and have been looking for other natural alternatives but found that ones I’ve looked into all have 50mcg of folate or less. I just looked up Liquid Health Prenatals and am happy to learn the contain 800mcg of folate! Would love to try! This stuff looks awesome. I know a ton of ladies that would love to try this stuff out. This stuff looks awesome! I know a ton of ladies that would love to try this out. I didn’t realize that folic acid was actually synthetic. Learning something new everyday. Checked out their website and glad to see their is iron in it because unfortunately there is no iron in the gummy versions :( Also I did try to sign up for your newsletter but kept getting an error. If I remember I will try back again before the giveaway ends. Thanks for letting me know Jackie! 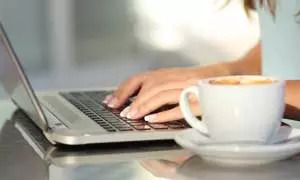 I’ll email you. Looks like a great vitamin! I would love to try this vitamin! I cannot swallow tablets when pregnant. This product looks great. sounds like a great alternative to traditional prenatals. I’d love to try this. Would be anxious to try it! Never heard of liquid prenatals! I had no idea that folic acid was synthetic. It’s nice to know to look for folate instead. and to know that lemon peel extract is a good source of it. After a long infertility journey, it looks like things are finally coming together! So I Hope I win, and I hope I can use it really soon!!!! Very interesting. I haven’t seen a liquid version before. I’ve never heard of this one, thanks for posting! A liquid prenatal is genius (so you don’t gag on the pills)! !